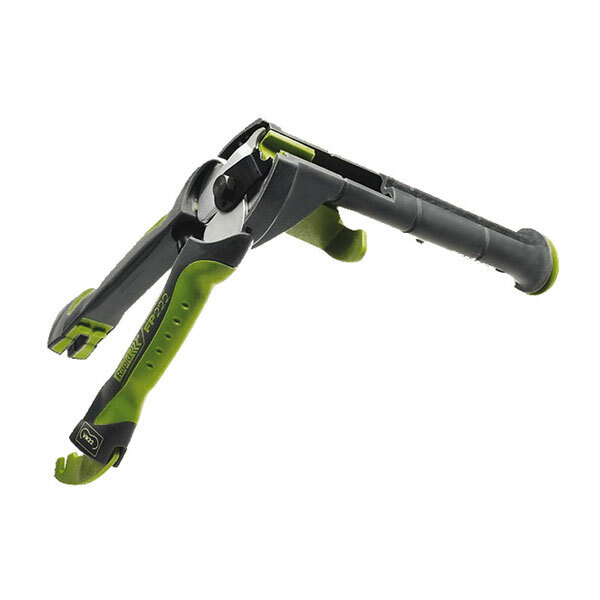 The Rapid FP222 is part of the ‘Smart Gardener’ range of wire fencing pliers. Ideal for fixing thicker wire netting and chain link fencing to fence wires, the FP222 provides secure, reliable results and can be used for both domestic and professional requirements. It has an ergonomic soft grip trigger and handle lock for easy storage. The integrated magazine is quick and easy to load. Compatible with Rapid VR22 hog rings. Fix to diameter 5-11mm. Covered by a 2 year guarantee.